We've been talking about it all month... and the moment is here. 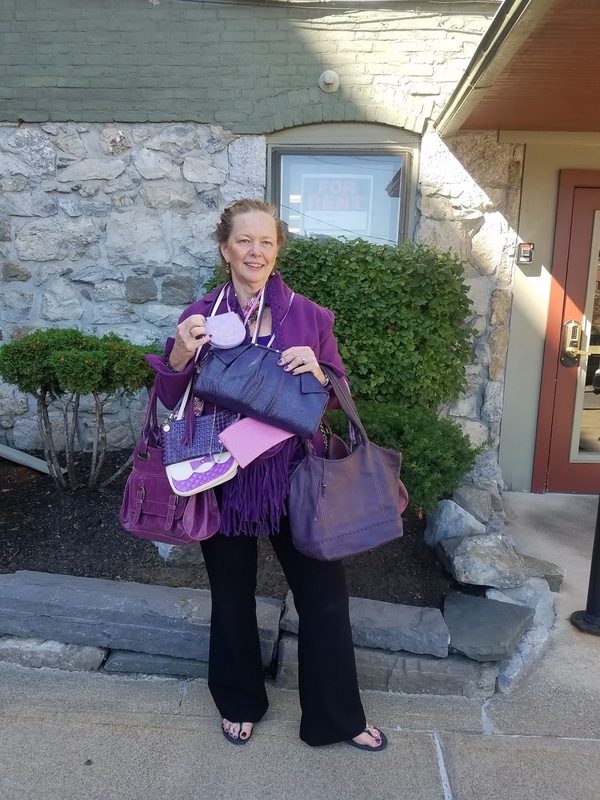 Please join the excitement as Wellspring (and all of our community in Saratoga County) competes in Allstate's Purple Purse Challenge. We're trying to place #1 in the nation in demonstrating our whole community's commitment to ending relationship and sexual abuse. Sign up to be one of our Changemakers. You can host your own supporter page on Wellspring's fundraising page. Tell your friends the issue of domestic violence is important to you and ask them to contribute-- every dollar counts! Click here for info on how to set up your page (just click on the purple "fundraise for this community partner" box. Coordinate an event at your office to raise awareness and funds (dress down Friday? Celebrate National Taco Day with a potluck lunch-- hint it's tomorrow). Attend one -- or all- of the great fundraising events our community partners are hosting to support Wellspring's Purple Purse Challenge. Click here for more info about our events. Donate. Here's the link! You can put your name on the leaderboard...or a message about why you care or words of support for survivors or for those who are currently being abused. I'm feeling totally relaxed, balanced and centered right now. With The Allstate Purple Purse Challenge starting tomorrow, I'm surprised to be saying that, but I just came from yoga class at Yoga Mandali and it was the perfect reset I needed to prep for the start of the month-long challenge. I'm a regular at Yoga Mandali (don't ask my favorite instructor because they're all terrific. Each one brings a different message to my yoga practice...and my life.) I started yoga for the same reason so many do- the physical practice. After all this body isn't getting any younger and when the day comes that grandkids arrive, I still want to be able to give them horsey rides, teach them how to do cartwheels and take them on hikes up mountains. And yoga does make a big difference physically, but the real differences happen in the head and heart. Yogis always talk about taking their practice and the peace it brings off the mat into the world. I see them doing just that every day. When I mentioned the Purple Purse Challenge, several of the yogis at Yoga Mandali asked how they could help, I suggested they share their thoughts on Wellspring's vision of ending relationship and sexual abuse... and they certainly did. Click here to hear and see the strength of these humble warriors. But that's not all they did. Karen Score, owner of Yoga Mandali, committed to offering a donation yoga class each Sunday at 11:30 am during the Purple Purse Challenge. So please join us... whether you're brand new to yoga or balance in tree pose while you're doing the dishes you'll have a great time in this gorgeous studio. Mahatma Gandhi said, "Be the change you wish to see in the world." Saturday, October 7th at 10 am Reform Pilates is offering a 50 minute Pilates Mat class (all levels and experience welcome) The class is free but all donations support the Purple Purse Challenge. My back is going to thank me for some attention to the core muscles! Zumba anyone? Go For Fitness is hosting their popular, annual Zumbathon on Saturday. October 14th at 10am. More details to come! Getting in shape, while dancing, & laughing with great music.. sure beats the treadmill! Wednesday, October 18th at 5 pm, Saratoga Cycling Studio has a karma cycle class (it's free, but again donations accepted to support the Purple Purse Challenge.) I've never done a spin class, but I can't wait. Seeing Gerard's enthusiasm when I visited the studio, it's gotta be fun! Yesterday I spoke with Miriam Dushane of Linium Recruiting. We talked about women's issues, employment, purple purses... and how trapped domestic violence victims can feel because they don't realize there are resources out there that can help them leave the abuse. 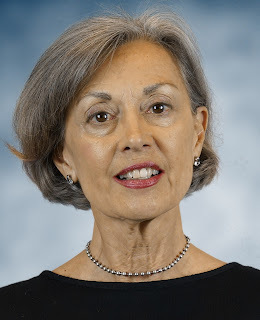 Miriam has seen the effects of domestic violence in the workplace and also among women she knows. She offers words of encouragement, "There's no reason for you to stay in a relationship that's unhealthy." 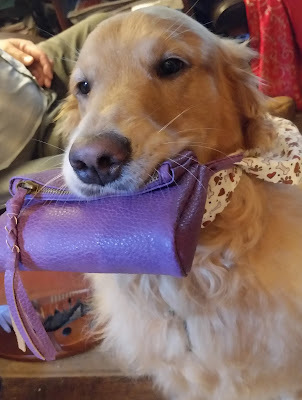 Click here for more about why Miriam is wearing a purple purse in October. Miriam is right. Often people don't come to an agency like Wellspring because they think they need to be in crisis to access our services. They also may not come because they see too many obstacles to leaving and don't feel they have the resources: 'How would I afford rent?'... 'I don't have money for a lawyer so how would I get an order of protection, custody or child support?'... I can't afford childcare if I go back to work... and what would I do in the summer when school is out. I'd have to leave my job' So they remain in the abuse, because the obstacles to leaving seem insurmountable... and they feel trapped. Wellspring has resources to help with all these obstacles...and you don't need to be in crisis to use our free, confidential services. One in 5 people in the workplace experience relationship abuse in their lifetimes... and of that number 96% says their work suffers as a result.? 40% of victims report being harassed at work by their abuser? 21% of offenders contacted their victims at the workplace in violation of an order of protection? Wellspring provides safety planning for survivors--at home, at school and at work. Wellspring also has a toolkit to help managers and supervisors recognize and respond when an employee job performance and safety are being a impacted by domestic violence. Wellspring also provides assistance to employers in developing workplace policies to address domestic violence and in helping employers respond when an employee is being abused. 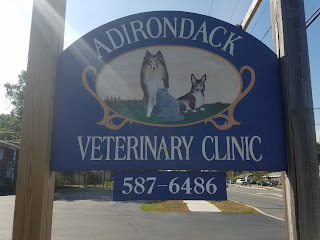 Put Your Purse in your Mouth and "Heel"
Andy is ready to join his friends from Adirondack Veterinary Clinic and Bensons (where he gets yummy dog biscuits) at this year's Pooch Parade. There will be a blessing of the pets by the Reverend Peter Klotz, doggy CPR instruction, an obstacle course, pawdicures (nail trims) for just $5, and a dog walk. We'll give a special woof to the working dogs in our community, including the K9 dogs from the Sheriff's Dept and the loving pups from Therapy Dogs International who will be at the parade. It's a fun day for an important cause. Click here as Lisa Crawford tells why Maribeth Wallingford DVM and all the staff of Adirondack Veterinary Clinic support the Pooch Parade. We might think that the best place for kids to learn is in a classroom. But for youth, and for all of us, sometimes our best lessons come when we least expect it. Anders Mattson, the Director of Instruction at Saratoga National Golf Academy, certainly teaches youth about how to swing a golf club... but also teaches about social responsibility. Click here for more from Anders. At Wellspring, we understand the powerful influence a coach has on a young athlete. That's why we're bring Coaching Boys into Men® (CBIM) to schools in Saratoga and Washington Counties, at no cost to the school. CBIM is an evidence based curriculum that's been used across the country and globally that helps coaches incorporate a leadership component into their work with youth so their athletes build respectful and non-violent relationships. Men-- fathers, uncles, teachers, and coaches -- have an important and necessary role to play in ending violence against women and children. Coaching Boys into Men® has a growing global community of coaches and athletes helping to prevent domestic violence and relationship abuse. If you are interested in learning more about Coaching Boys into Men® or bringing it to your school, or other athletics program, contact Wellspring. We're committed to providing our community partners the tools so that together we can create the social change needed to end relationship and sexual abuse. Recently I was speaking with the Reverend Joe Cleveland of the Unitarian Universalist Congregation of Saratoga Springs about domestic violence. 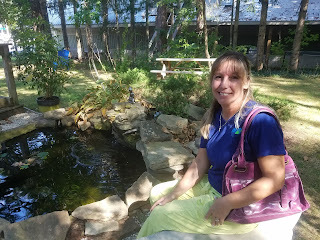 His church has long supported the work of Wellspring, because our mission connects so well with the beliefs that underlie their faith. Reverend Cleveland explains that his congregation is, "committed to love, compassion and justice." Click here for more about why his church cares... and why he personally is passionately committed to ending domestic violence. 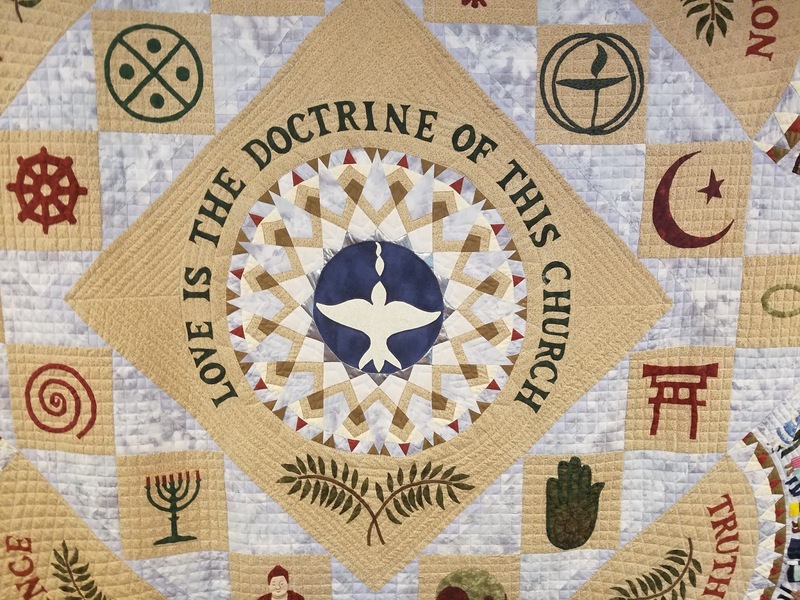 I love sitting in the sanctuary of the Unitarian Universalist Congregation and looking at the beautiful quilt behind the altar (a small section of it shown in the picture above). I often think if we all allowed our every action to be guided by love, truth, tolerance, service, and compassion, how much better this world would be. I’m Not the Only One Who Is Excited! Antoinette Jackson (Jesse on-air, but as always Antoinette and I continued the conversation long after the cameras stopped rolling.) Look TV has long been a champion and partner in our efforts to increase awareness about relationship and sexual abuse. So Jesse and I were talking about the upcoming Allstate Purple Purse Challenge. At Wellspring we've set a really big goal ... leading Saratoga County to #1 in the nation during the month-long fundraising challenge, to show that our whole community is committed to the vision of ending relationship and sexual abuse. I've gotta say, our friends at Look TV are just as excited as we are about the possibilities. Watch the interview here, to learn more about Allstate's Purple Purse Challenge... and what you can do to help.